Alahbakhshian Farsani, P., Habibnejad Roshan, M., Vahbzade, G., Solaimani, K. (2013). Investigation of Trend of Precipitation Variation Using Non-Parametric Methods in Charmahal O Bakhtiari Province. International Journal of Advanced Biological and Biomedical Research, 1(5), 547-555. Pezhman Alahbakhshian Farsani; Mahmoud Habibnejad Roshan; Ghorban Vahbzade; Karim Solaimani. "Investigation of Trend of Precipitation Variation Using Non-Parametric Methods in Charmahal O Bakhtiari Province". 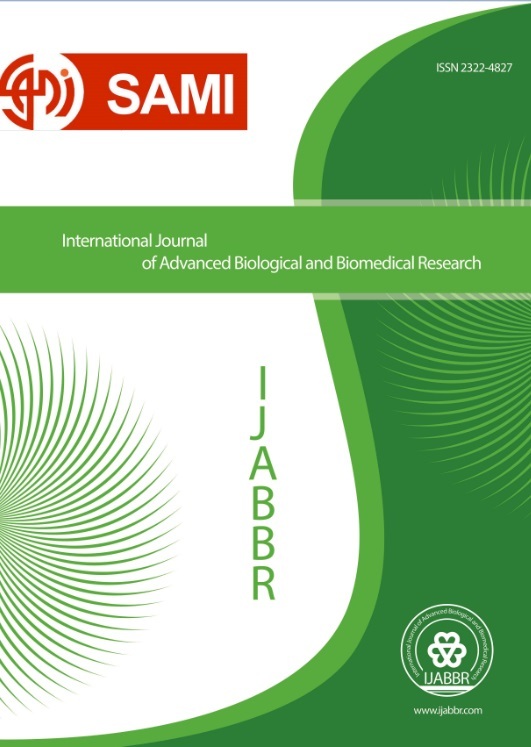 International Journal of Advanced Biological and Biomedical Research, 1, 5, 2013, 547-555. Alahbakhshian Farsani, P., Habibnejad Roshan, M., Vahbzade, G., Solaimani, K. (2013). 'Investigation of Trend of Precipitation Variation Using Non-Parametric Methods in Charmahal O Bakhtiari Province', International Journal of Advanced Biological and Biomedical Research, 1(5), pp. 547-555. Alahbakhshian Farsani, P., Habibnejad Roshan, M., Vahbzade, G., Solaimani, K. Investigation of Trend of Precipitation Variation Using Non-Parametric Methods in Charmahal O Bakhtiari Province. International Journal of Advanced Biological and Biomedical Research, 2013; 1(5): 547-555.